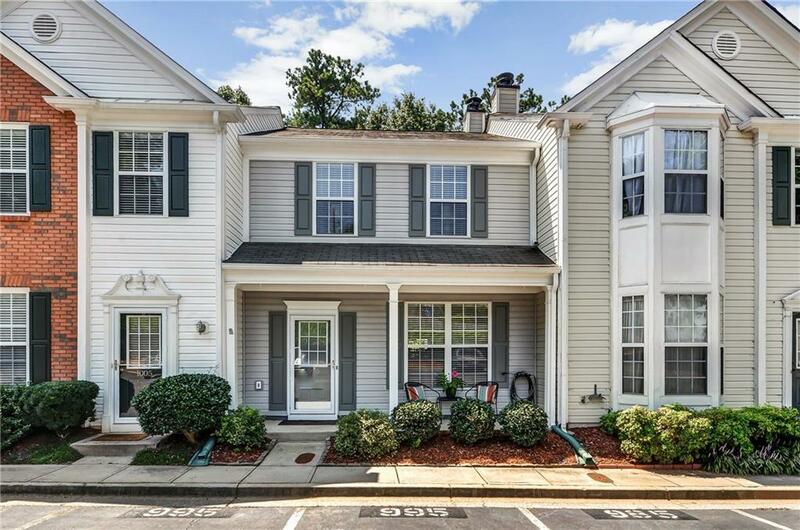 Charming 2 bedroom 2.5 bath townhome in Alpharetta! Updated kitchen with stainless steel appliances, backsplash and granite countertops. Hardwood floors throughout home and in bedrooms. Private back patio overlooks woods. Two assigned parking spaces in front of unit with extensive guest parking.